A Pennsylvania hunting map details 3.7 million acres of public land. A new online Pennsylvania hunting map can help hunters decide where to go. It doesn’t guarantee that you’ll find a whitetail, turkey, ruffed grouse or any other kind of wildlife. But it gets you in the game. 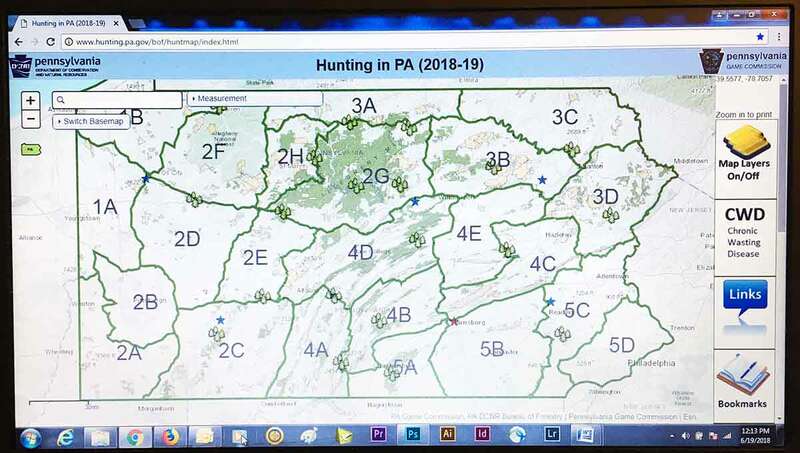 That’s the goal of the new online Pennsylvania hunting map – www.hunting.pa.gov — rolled out by the state’s Department of Conservation and Natural Resources and Game Commission. It offers lots of specific information on state forests and state game lands. That’s 3.7 million acres of public land. The map not only provides the location of forests and game lands, but details things like the location of oak forests, timber harvests, herbaceous openings and winter thermal cover, i.e. stands of pine. It also lists roads open seasonally to hunters. There’s information on chronic wasting disease, too, as well as the location of bear check stations and forestry and commission offices. A measurement function, meanwhile, allows users to see how far, for example, it is to walk from one point to another. It’s also possible to plot GPS waypoints for marking stands or points of interest. Hunters can even check antler point restrictions, hunting hours and seasons and bag limits by their location, too. And it’s all customizable. Hunters can turn “layers” on the map on and off to get as much or as little of those details as they want. “Everything is pretty much integrated across the two land bases. It’s pretty much seamless,” said Joe Petroski, chief of the geospatial applications section for Conservation and Natural Resources. That wasn’t the case before. The department and commission used to have separate hunting maps, said Mark Niessner, of the commission’s habitat planning and development division. They looked different from one another in several ways. That, he said, was a problem. This new map is the solution. Niessner said it’s more than a road map, but less than a field guide. “It’s for finding a hunting spot,” he said. 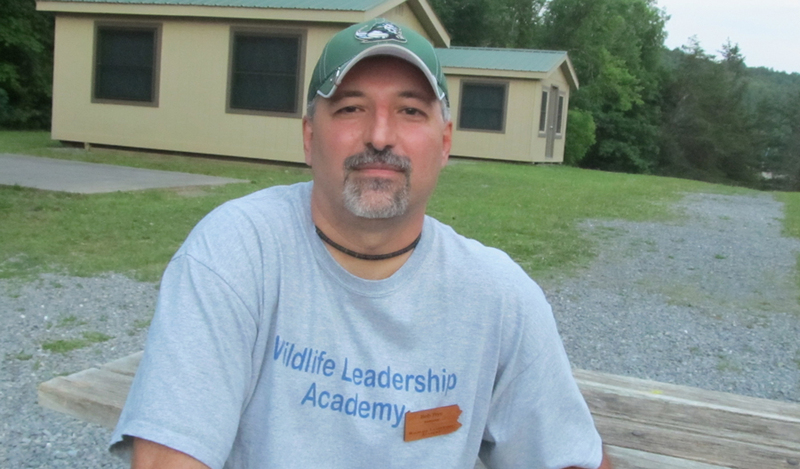 It’s something hunters have been asking for, Petroski said. Their number one request in the past, he said, was for a map that included forests and game lands both. “Really, the whole purpose for this map is because hunters are a very important resource to help control wildlife populations. And we want to be able to give them good tools to utilize this information and get them out there and work with them,” Petroski said. “You can certainly use it in your tree stand if you have cell coverage or a data plan,” he said. And it may yet get better. Each agency can, independently, add to the map as time goes on. In the commission’s case, for example, that will likely mean adding the location of pheasant stockings, managed dove fields, waterfowl hunting zones, the boundaries of special regulation areas and more. Meanwhile, other public lands – like Allegheny National Forest — are identified on the map, Petroski said. Details on things like which of its roads are open seasonally for hunters are not. But that could change, he added, if other agencies decide to get involved. Commission president Tim Layton said he’s excited about the Pennsylvania hunting map. It’s just the kind of thing that can really help hunters, he said.